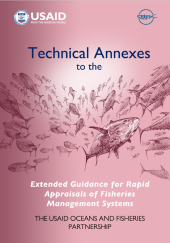 Effective fisheries management has always been a significant challenge in the Asia-Pacific region. 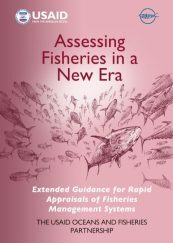 As many of the region’s coastal fisheries have declined, the need for increased and more holistic management is increasingly evident. Data collected through electronic catch documentation and traceability (eCDT) systems can be used to support enhanced management and decision-making. 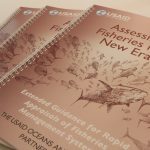 In December, USAID Oceans selected two grantees to support its work to leverage eCDT data to improve fisheries management. Two grantees were selected in the program’s Indonesia and the Philippines learning sites, Masyarakat dan Perikanan (MDPI) in Indonesia and Mindanao State University Naawan Foundation for Science and Technology Development, Inc. (MSUNFSTDI) in the Philippines, to undertake data analysis that can be shared with all ASEAN member countries to inform traceability initiatives across the region. The grantees will implement strategic fisheries management interventions in the learning sites in collaboration with relevant local stakeholders from governments, the private sector. and civil social organizations. These interventions will include testing, building and deploying innovative digital eCDT solutions to support fisheries management and decision-making, as well as demonstrating how eCDT data can be used to improve local fisheries management and enhance marine biodiversity conservation. They will also support technical capacity building of relevant stakeholders e.g. national and local governments, as well as fisheries managers to utilize such technology solutions for fisheries management actions implemented under the Sustainable Fisheries Management Plans (SFMP) that USAID Oceans has helped to develop over the last years of partnership. Both grantees have extensive experience in addressing national and local fisheries management needs and have developed strong relationships with local stakeholders in the learning sites. 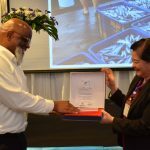 The works of the grantees will contribute to the achievement of USAID Oceans’ program objectives and its partners’ fisheries policies to combat IUU fishing, conserve marine biodiversity, and promote human welfare in the seafood supply chain for more sustainable fisheries. USAID Oceans expects to officially award the grants in Spring 2019. Masyarakat dan Perikanan (MDPI) was established as an independent foundation to provide on-going care for the conservation of fisheries resources and ecosystems of Indonesia and the region. MDPI has been working on the development of the fishing communities and supply chains to support economic improvements and social stability for people. 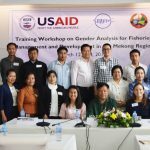 MDPI was awarded a grant by USAID Oceans in August 2017 for the “Initial Pilot Trialing of Catch Documentation and Traceability Systems for Small-scale Fisheries” where it leveraged its knowledge and capacity in to support and advance the works of USAID Oceans on eCDT data management, testing, and implementation. Under the grant, MDPI engaged with local and national partners to develop, deploy, and begin piloting of eCDT system technology, Trafiz and TraceTales. The tools help capture and validate key data on products, including legality and movement throughout the supply chain, from the point of harvest to the end consumer. Data collected by these tools will be leveraged under the grant for enhanced fisheries management. Mindanao State University Naawan Foundation for Science and Technology Development, Inc. (MSUNFSTDI) was founded in 1992 as a non-profit and non-government organization. MSUNFSTDI works in resource and environmental management to support sustainable fisheries and biodiversity conservation in the Philippines through research and development projects and is funded by a range of institutions, from national government agencies to NGOs and the private sector. Through a long-established relationship with the Bureau of Fisheries and Aquatic Resources (BFAR), MSUNFSTDI has been conducting researches and implementing projects in marine resource management and has been able to leverage relevant data and knowledge gained from these projects in the development of fisheries management plans, both ecological and socioeconomic purposes. Previously, MSUNFSTDI has worked on several USAID-DAI (Development Alternatives Inc.) projects under the Department of Environment and Natural Resources-Philippine Environmental Governance (EcoGov) for coastal resources and Marine Protected Areas (MPA) management, coral reef assessment, and fisheries profiling.